Organisations recognise that to be competitive in a constantly changing world they need to get more sophisticated in unleashing human potential and building capability to learn faster than the competition. Individuals know they must invest in their own personal and professional development to develop a portfolio of skills that will ensure they can sustain meaningful careers and realise their individual potential. At the same time we are living in a period of history that provides significant challenges to our ability to learn effectively. Increased urbanisation, together with advances in technology, means that never before have we been subjected to so much incoming information, so continuously, and with so much expectation to respond instantly. According to Richard Louv (The Nature Principle), “it makes sense that in environments that contain so many competing stimuli, we should employ a different pattern of engagement, keeping a wider, more spread, awareness on the environment, and only truly focusing when something triggers our interest”. Our limited amount of available attention is eaten up by distractions and causes many of us to struggle to concentrate for long periods of time, feel frustrated, stressed, and less creative. We are spending much of our time operating in a state of “continuous partial attention”, which is not an optimal state for learning. So, how can nature help? The good news is that there is a growing body of research associating enhanced learning ability with time spent in nature. 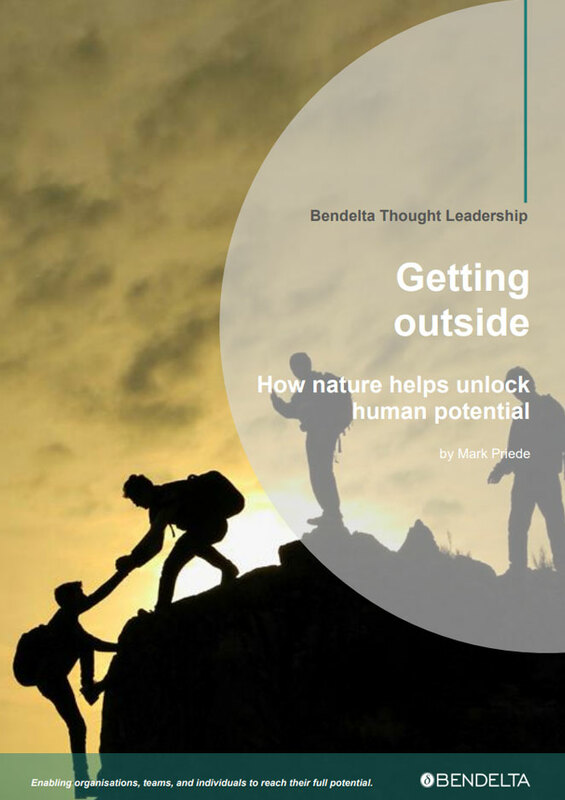 In particular this paper will focus on four key areas where nature can help to unlock our potential – Attention/Focus; Engagement; Creativity and Social Learning. Learning requires that we pay attention and focus on what we wish to learn – we know that the average human is only capable of intense concentration for 20 minutes at a time. Every time you focus you use a measurable amount of glucose and other metabolic resources. Less energy (glucose depletion) equals less capacity to decide, recall, memorise and learn. Constant distractions in our lives causes ‘directed-attention fatigue’. It makes sense that in environments that contain so many competing stimuli, we should employ a different pattern of engagement, keeping a wider, more spread, awareness on the environment, and only truly focusing when something triggers our interest. In an nine year study for the US Forest Service, environmental psychologists Rachel & Stephen Kaplan, found that direct and indirect contact with nature can help with recovery from mental fatigue and the restoration of attention, and found it helped restore the brain’s ability to process information (they followed participants in Outward Bound programs which took people into the wilds for up to two weeks). Kaplans’ work suggests that nature simultaneously calms and focuses the mind, allowing the mind to detect patterns that it would otherwise miss. A University of Michigan study found that after just an hour of interacting with nature a participant’s memory performance and attention spans improved by 20%. Combining time in nature with aerobic exercise (eg. hiking) has been shown to have a positive effect in improving memory, and is even being studied as a way to help seniors fight off dementia, because it doesn’t just increase your ability to store information, it also reduces memory loss. We are much more likely to remember something and engage with learning that has a powerful emotional significance. Both positive and negative emotions have been proven to affect memory, but positive emotions hold an edge when it comes to effectiveness. Many studies now show the impact nature has on generating positive emotions. Stanford’s Gregory Bratman designed an experiment in which participants took a 50-minute walk in either a natural or an urban environment. People who took the nature walk experienced decreased anxiety, brooding and negative emotion, and increased memory performance compared to the urban group. Bratman’s team found that walking in natural environments can decrease indulging in negative thoughts about our experiences, and showed that activity in an area of the brain linked to bad moods, worrying and depression was reduced in participants who walked through nature compared to those who walked through an urban environment. A Canadian study showed that greening school grounds not only improved academic performance of students; it increased teacher’s enthusiasm for being teachers. Even short amounts of outdoors exposure can help – a University of Essex study found that mood and self-esteem improved after just a five minute dose of outdoor activity. Even more improvement occurred if the activity took place in an area adjacent to water! Learning with others, sharing our knowledge and experiences, and providing others with feedback, are all critical elements of effective learning. The more authentic the relationships and the closer the connection we establish with those sharing our learning experience, the greater the likelihood of integrating the learning. A University of Rochester study found that exposure to natural environments leads people to nurture close relationships with fellow human beings. a hike in a park, a reflective activity in an urban green space, or a meeting in a room with water views, can all be stress reducing and brain stimulating and incorporated into a workshop or program. In their study those participants who were exposed to natural versus man-made settings, placed a higher value on community and close relationships than they had previously, and the more deeply immersed their experience with nature the more pronounced the effect. The researchers proposed that being in nature encourages introspection, strips away artifice and helps us feel more authentically ourselves and drawn to others. Korean researchers have shown through mapping brain activity that even simply viewing natural scenery causes those areas of our brains associated with empathy and altruism to light up. Unlocking our creative potential helps us to effectively integrate and apply learning by generating our own connections or associations between concepts and ideas. However the skills required to do this originate in the same part of the brain that is used for directed attention – the part of the brain that is constantly dealing with the stimuli of modern life. Psychologists Atchley and Strayer found that creative problem solving can be significantly improved by both disconnecting from technology and reconnecting with nature. In one 2012 study participants went hiking through nature for four days without any technology at all and were asked to perform tasks on a test known as RAT, or Remote Associates Test. This is a simple way of measuring an individual’s creative potential and complex problem solving ability. They found that performance improved by 50% for those who took part in this experiment, which is a huge leap in performance by research standards. So how do we continue to reap the benefits of technology AND to utilise and integrate nature into our learning experiences? According to Louv we may be developing a hybrid mind where we live simultaneously in the digital and physical world, using technology to maximise our powers to process intellectual data and our productivity, and time in natural environments to engage all our senses and accelerate our ability to learn and feel. Many organisations already incorporate nature into their learning experiences with programs scheduled offsite in natural environments, utilising the setting for individual and team activities. 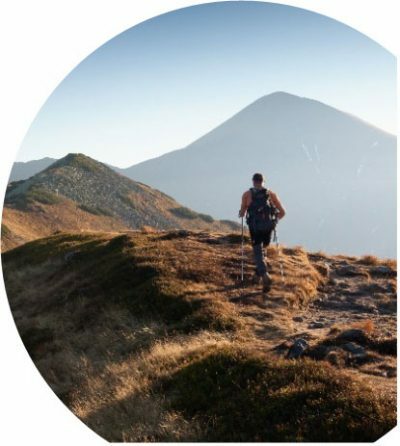 Some learning programs are designed around multi-day outdoor adventures, such as a trek, where participants reflect on and work with others on the learning outcome or behavioural change they are seeking while undertaking the adventure. In Presence – Human Purpose and the Field of the Future (Scharmer, Senge, Jaworski) the authors describe the work they have been doing with organisations to encourage deeper levels of learning and create breakthrough solutions to their challenges. They concluded after years of experimentation that the most powerful and reliable way for groups to collectively access deep insight is the wilderness retreat, a multi-day experience that includes a lengthy period of solitude for each participant in an inspiring, remote, natural setting. Airbus is one organisation that has used wilderness retreats as a reflective catalyst for leadership training. As the research highlighted in this paper has indicated, the experiences don’t have to be in remote, immersive locations, or as intensive as a multi-day retreat to have value – a hike in a park, a reflective activity in an urban green space, or a meeting in a room with water views, can all be stress reducing and brain stimulating and incorporated into a workshop or program. 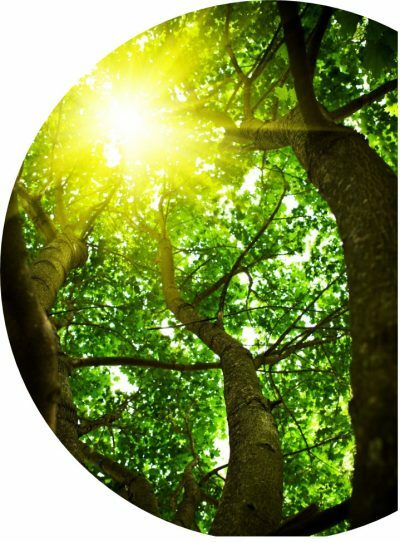 All of us who have an interest in unlocking human potential should consider what we can do to incorporate nature into our individual and organisational lives – to awaken our senses and create an optimal environment for learning and growth.